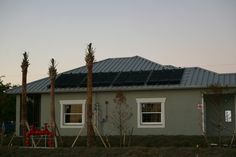 I finally got around to installing my Pentair SunTouch Solar Controller at my Fort Myers home. I don’t have solar pool heat (yet), so I have been procrastinating. Why install a SunTouch without a solar pool heating system? Because it does so much more than just control a solar valve! The SunTouch is made to work with an actuator to automatically turn solar pool heating on and off based on the desired temperature and the available heat on the roof. 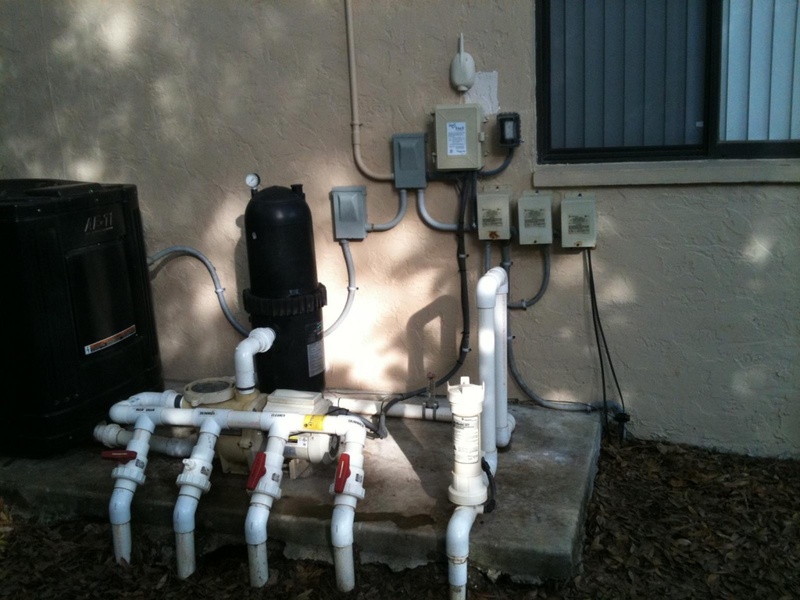 It’s a great compliment to my Pentair Variable Speed Pump (VS-3050). The SunTouch takes over the control of the pump functions and speeds, allowing you to program various speeds for things like water features, automatic cleaners, solar, and auxiliary heaters. It will control a heat pump or gas heater with or without solar pool heat. I happen to have a heat pump (I know, not good, but it came with the house). I can control my landscape lighting (LED, of course) with one of the auxiliary relays and put the transformer on a timer. I can control the pool lights and program run times. With the QuickTouch remote, I can activate features from the handy remote control. While I have the landscape lighting and pool lights on programmed schedules, I can manually turn them on from the remote. I can also manually force the pump on at various speeds. Because my pool and landscape lighting were on the same circuit, and because I still have old energy-hog incandescent pool lights (2 x 300W), I am excited to be able to run the landscape lighting independently now. For added security, and because they use virtually no energy, I set my landscape lights to run all night – something I wasn’t able to afford with the pool lights. One day I’ll spring for the LED pool light upgrade. I set out to do this project yesterday and it took a little longer than expected with all of the auxiliary features I wanted to control. 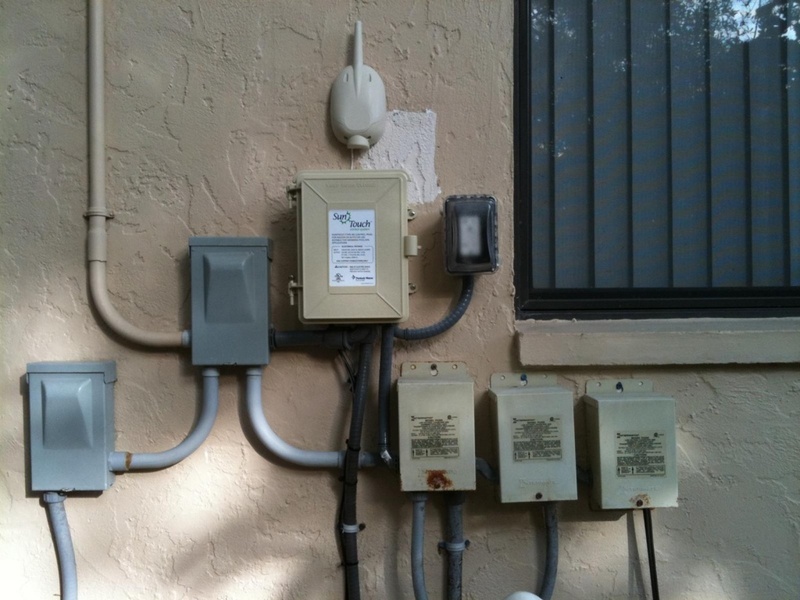 I also had to rewire the lighting transformers because the pool and landscape lighting were on the same circuit. I went ahead and installed the water and solar sensors so I’ll be ready to go when I add solar pool heat this spring. Finally, I took the opportunity to wire a GFCI outlet next to the SunTouch for extra convenience when running my electric trimmer. I didn’t connect the heat pump relay, partly because I ran out of time, but after thinking about it I would rather not have it on a controller. I want to feel the pain every time I manually turn it on, and remember how much that thing costs to run! I can see the benefit of connecting it for people who have pool/spa combinations to fully automate spa heating. 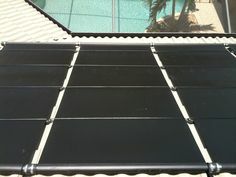 Overall, I am very impressed with the system, and I look forward to installing my solar pool heating system soon! I am trying to program the Suntouch controller. I need 15 minutes of someone’s time that has a good understanding of the SunTouch control system. I know there is way to get the control set up to work for our specific needs, I just need a few questions answered. Any help and suggestions you can provide me are greatly appreciated. I will email you my contact information. I have been endlessly looking for someone to install the pentair suntouch control system and no one seems to know how to do it. Any chance you have any recommendations for anyone in Los Angeles?? Thank you!! Hello — My Suntouch controller is installed but I need to program my Intelliflo pump to vacuum at a higher speed and then simply filter at a lower speed. Can you help me? It depends on how your system is set up. Single body of water or pool/spa? The best way to know: do you have Low and High speeds set, or Pool and Spa speeds? If it’s a single body of water and you have Low and High, the best way is to go into Pump Menu (12/14) and set up a circuit for High and adjust the speed as necessary. I’m assuming you don’t already have a scheduled run time for High. When you want to use your vacuum, just press the up arrow, and it will change to the high speed you set under the pump menu. Press the up arrow again to get out of High speed and return to the regular schedule, or it will remain at high speed until the circuit timeout number of hours, which is set in the Advanced menu (8/14). If you have a pool/spa combo or another advanced configuration, it may be more involved. Based on your IP address, I think you are in California. Pentair’s customer support number there is 800-831-7133. They are quite helpful by phone. 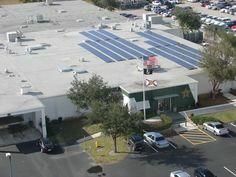 Fafco Solar is your one-stop shop for SunTouch errors, programming, and repairs. I have a Suntouch set up for a single body of water in Solar Only mode. The water temp vary’s 10-15 degrees. I changed sensors, I changed the mother board and it still does it. I also took out the sensor and replaced it…still does it. What is happening?? Hi Bill – I just noticed your comment. Sorry for the delay. Can you elaborate on what you mean by the temp varying 10-15 degrees? Over what period of time are you observing this issue? 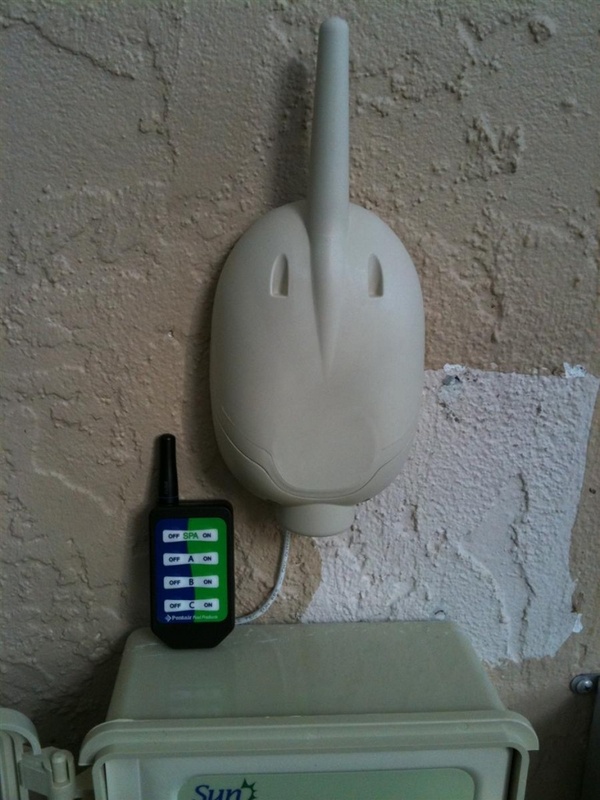 Can you describe how your sensor is installed and where in your plumbing? Typically it is installed between the pump and filter with a hole drilled in the PVC and a stainless steel hose clamp to secure it. It sounds like you may have inadvertently added a scheduled run time for your spa. If there are schedules for both pool and spa, the spa mode will override pool mode. Pentair tech support can walk you through identifying and deleting an errant schedule by phone. I hava a pool with a SunTouch controller. The main purpose of the controller is to control the heat pump, and to automate a 3-way valve so that the heated water is returned to a bottom return line (in the deep end) when the heater is running. System hasn’t worked correctly to date. Can you elaborate on what you mean by the system not working correctly? It should be pretty straightforward to turn a valve when the heater is operating.